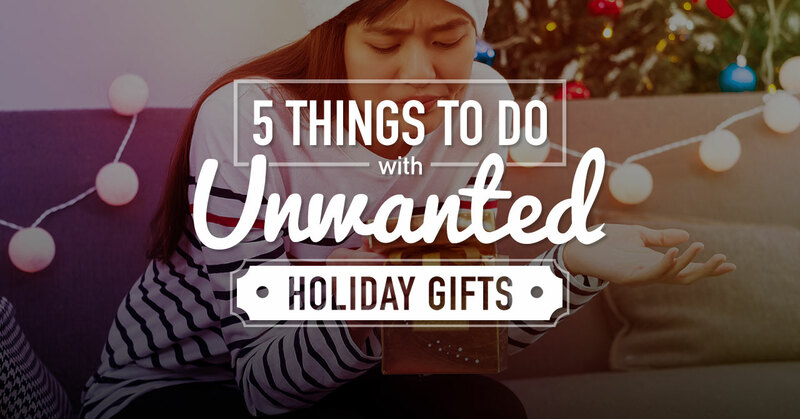 It’s happened to everyone at least once: You eagerly open a present only to be silently disappointed because the item is something you cannot use, is too small or too big for you, or you simply do not like what was given to you as a gift. Proper etiquette dictates you say thanks and keep the gift but with the limited living space we all have, we often have no choice but to find ways on how to put unwanted gifts to good use. Regift. This is one of the best ways to spread joy. You can pass your gift on to someone who will appreciate it so the item won’t go to waste. Someone you know might want it. Be careful, though: Avoid an awkward situation by giving the present to someone who is not acquainted with the original sender 😅.